As the Empowerment Network’s Step-Up Omaha! employment program moves into its 10th year, it continues to build on its successes, which included expanding its reach city-wide and working with both community and businesses partners to connect more than 4,500 youth and young adults, ages 14-21, with career exploration, job training, and internships. Hundreds of Step-Up Omaha alumni have graduated from high school, entered and completed college and gained part-time and full-time work. Summer employment has been proven to be a vital component to engaging youth and putting them on the right path to long-term career success. Local and national research points to the importance of linking youth and young adults with job experiences to establish a positive relationship between education, work and generating income. With the valuable financial support of the City of Omaha, United Way, businesses, foundations and community residents, Step-Up Omaha has expanded in measurable ways this year. Participants ages 16-21 in the Step-Up Omaha Jobs, Careers, and Intern program gained valuable work experience at over 80 work sites, including American National Bank, UNMC, Omaha’s Henry Doorly Zoo & Aquarium, Woodmen, Omaha Public Schools, Omaha Police Department, Jimmy Johns, Arby’s and others. 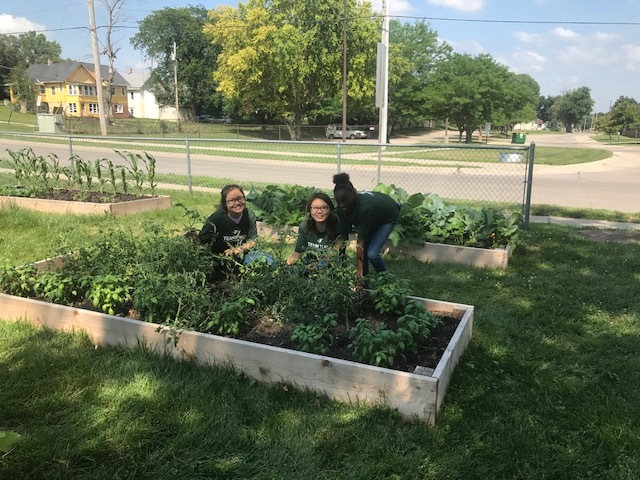 Interns worked in jobs and internship positions ranging from banking, information technology, and healthcare to landscaping, construction and child development. 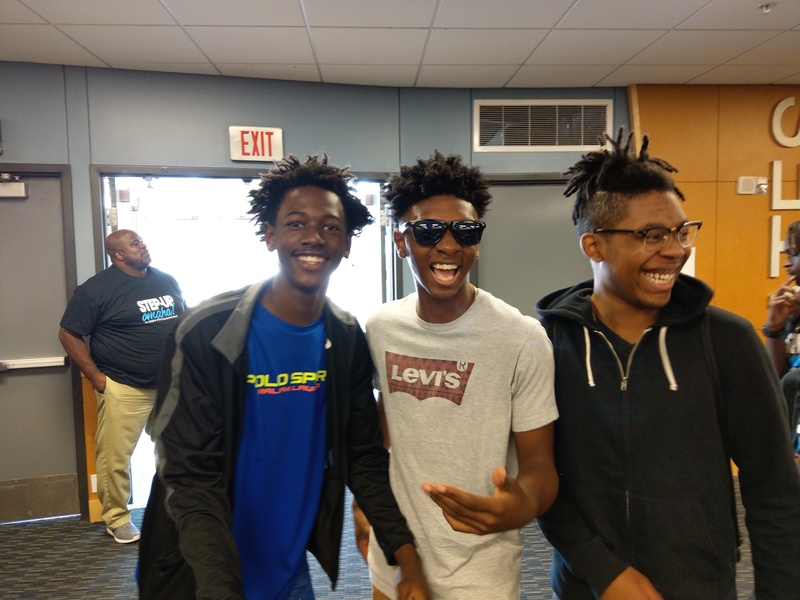 Participants ages 19-21 in the Step-Up Omaha Connect program worked full time and part time in opportunities with the potential of long-term employment. Some participants made as much as $11 per hour for the summer and earned opportunities to stay on with their employer as they proved themselves to be valuable assets. The vision of the Step-Up Omaha! 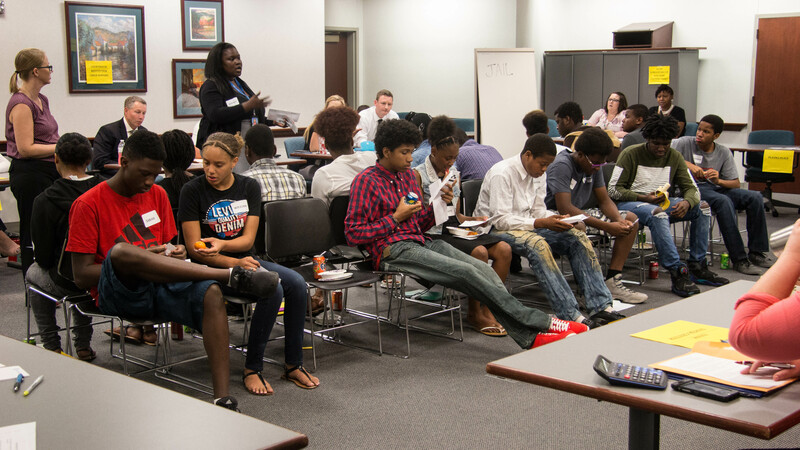 program is collaborating to bridge the employment gap and invest in the workforce of the future by recruiting, training, and preparing career-minded youth and young adults in our community to make positive life choices, empowering them to fully maximize their personal potential through educational and career opportunities. Businesses and organizations interested in learning more or becoming a sponsor and/or work-site can go to StepUpOmaha.com for more information. Step-Up Omaha! is an initiative of the Empowerment Network in collaboration with the City of Omaha. Community partners include: Banister’s Leadership Academy, Boys & Girls Club of the Midlands, Heartland Workforce Solutions, Hope Center for Kids, Girls Inc., Latino Center of the Midlands, Metropolitan Community College, Omaha Economic Development Corporation, Omaha Housing Authority, Omaha Public Schools, PACE, Salvation Army Kroc Center,Urban League of Nebraska and the United Way of the Midlands. ©2018 Empowerment Network. All rights reserved.